Top seeds prevailed and the host nation enjoyed success, such was the scenario as the Men’s Singles events in the standing categories came to conclusion on Thursday 19th October at the 2017 Thailand Para Open in Suphan Buri. The player to experience the closest call at the final hurdle was China’s Lian Hao, the player to delight the home supporters was Rungroj Thainiyom. 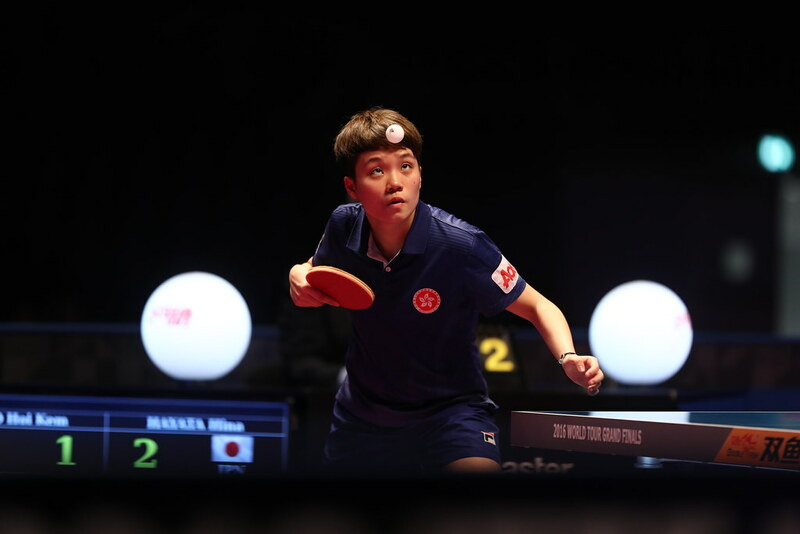 Gold medallist in Men’s Team Class 9-10 at the Rio 2016 Paralympic Games alongside Ma Lin; in Class 10, Lian Hao needed the full five games to overcome the Czech Republic’s Ivan Karabec, the no.2 seed (10-12, 11-6, 11-5, 10-12, 11-7), a player who owns the full house of major titles. He was the gold medallist at the Sydney 2000 Paralympic Games, the World champion in 2006, in addition to securing titles at the European Para Championships in 2003, 2007 and 2009. Hard fought success for Lian Hao; for Rungroj Thainiyom life was less fraught; competing in Class 6 he accounted for China’s Chen Chao in three straight games to seal the title. Success at the final hurdle for the top seed against the second seed, it was the same in Class 7 and in Class 8 with all-Chinese finals being the order of the day. In the former, Yan Shuo beat Liao Keli to seal the title (11-4, 12-10, 11-3); in the latter, Zhao Shuai accounted for Ye Chao Qun (11-4, 11-3, 11-8). Titles for China, it was repeated in Class 9; Zhao Yi Qing, the top seed, overcame colleague Han Yajie in the final (11-9, 14-12, 10-12, 11-3), the latter very much a player in form. At the semi-final stage he had beaten Japan’s Takuya Nakajima by the very narrowest of margins (12-10, 9-11, 7-11, 11-6, 15-13), the player who one day earlier had accounted for Tonnie Heijnen of the Netherlands, the no.2 seed (11-6, 11-9, 11-7). Defeat for Tonnie Heijnen; alas from his perspective, the scenario was no better on the second day, at the quarter-final stage he lost to Japan’s Nobuyuki Suzuki (13-11, 11-9, 11-7), who one round later departed at the hands of Zhao Yi Qing (11-5, 8-11, 11-6, 11-4). Meanwhile, in Class 11, the category for players with learning difficulties, it was success as predicted for Australia’s Samuel Von Einem. At the final hurdle he overcame Japan’s Ryo Miyauchi (11-2, 8-11, 11-3, 11-7), having one round earlier ended the hopes of Korea’s Song Byeongjun, then no.2 seed (11-2, 8-11, 11-3, 11-7). Notably the previous day, in the group phase Song Beyeongjun had been beaten by Ryo Miyauchi (11-7, 11-7, 11-7) and thus ended in second place. Play in the Men’s Singles events concluded; attention now turns to the Men’s Team events; play concludes on Saturday 21st October.